When I decided to publish my book, Special, I took considerable time to find a self-publisher that was above all reputable, easy to work with and affordable. I had a distant relative mail me two books that his father had published through Aventine Press. I was quite amazed with both books. They were attractively and professionally bounded and printed. I searched the Internet for any complaints on several self-publishing companies, all of which were much larger and more well known than Aventine. They all had several negative comments documented against them except for one single company...Aventine. In fact, I found nothing but extremely positive reviews for them. So I decided to go with Aventine and I am delighted to say that I have not regretted my decision. Both Keith Pearson and Ryan Ratiff did a wonderful job with by book that included a large cover photograph, several pictures within the interior, plus over two hundred and fifty pages of text. Additionally, the proofs and the completed book were finished long before the expected time frames. Both Keith and Ryan were a pleasure to work with. When my second book is ready for publishing, I will certainly return to them. They have my highest regard and endorsement. In 2010 I decided that the novel I was working on needed to be self-published and with that decision came the long process of deciding which company to go with. I spent nearly a year and half investigating the choices constantly flip flopping back and forth due to uncertainty with reliability. 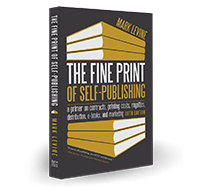 Eventually I came across a review of self-publishing companies that mentioned several choices and Aventine Press was the one given the highest praise and remarks. I contacted the Aventine Press staff and spent about 1 month in back and forth emails understanding their methodology. What finally won me over to Aventine was their availability to answer questions and also their web-site which clearly shows the titles, with covers and links, under their brand. This last point, impressed me since many other companies did not clearly display the titles they published. I am proud to say that Aventine Press is the publisher of my novel. Without question, you are my GOLD standard for anyone I work with on my books in any capacity. You are pleasant, responsive, a great listener, have fantastic turn around times, manage expectations well, produce a quality product, offer competitively priced services, are willing to address client concerns head on, and you impress me as a person of integrity. I like how you do business and it is a pleasure to do business with you. My author experience with Aventine Press has been excellent. They made the process of publishing my first novel far easier than I ever expected. Their responsiveness to my questions and requests has made being a published author a wonderful experience. Now that you've found Aventine Press, do not be afraid to move forward. Their teamwork is amazing. With some trepidation, I decided to have my book, When The Roses Bloom, re-edited and then re-published. The previous publisher had done an excellent job with the book cover and layout; however all of their other services left much to be desired. Keith Pearson of Aventine Press listened patiently to all of my concerns about re-publishing and then he and designer, Ryan Ratliff, went about their business of producing a superb product that met or exceeded all of my desires. And they did so quickly, at a lower set-up cost and with higher royalty payments available to me... I recommend them for a superb publishing experience. Using Aventine for our first book was the best decision we ever made! After extensive research and comparison shopping Aventine has more than lived up to their excellent reputation. The publishing process was smooth and timely. Keith Pearson's professionalism and help made our experience painless. Ryan Ratliff's enhancements to our submitted cover design were great and much appreciated. We would recommend Aventine to anyone looking for a publisher, and will use them again in future. Aventine Press gives writers exactly what they need for far less than the other guy. Thanks for all of the help with everything from the cover to the copyrighting. Aventine Press has provided me with a wealth of information that has helped me overcome hurdles in the publishing business that have until now remained too high to reach. This experience has opened doors to me that I never could have opened on my own and launched a career in writing that started as just an idea and a dream.